At the outbreak of the Civil War, 150 years ago, the US War Department realized that they had a dwindling supply of saltpeter – a crucial ingredient of gunpowder. So they turned to Lammont du Pont, grandson of E.I. du Pont, founder of the famous company that bears his name, and sent him on a mission to London, to secure a supply of the needed ingredient. He cornered the market, and procured a supply of potassium nitrate that would meet the Union Army’s needs for the duration of the war. Illumined minds and illuminating ideas are at the heart of the story of America that we particularly love to tell in the streets of our city. But America was not born and raised only on a diet of Enlightenment ideas, fed by its great men and women of the18th century. America was also born and raised on a diet of gunpowder. And without the men of du Pont the nation might not have survived much past its infancy. I’ll spare you my book-report summary of the history of gunpowder. For my purposes, let’s say that you can use gunpowder for a number of things, from firing cannonballs, at one end of the spectrum, to lighting up the sky with fireworks, at the other end. Gunpowder has served both these ends, and many others, for many centuries. And let me say right now that I vastly prefer one option over the other: I am enchanted by fireworks and always have been; but I find cannonballs and all their descendants entirely disenchanting. But both require gunpowder: the explosive force that propels them up and out, beyond the confines of their chambers, to accomplish their fiery tasks in the world. Gunpowder does not apparently have anything to do with our gathering today. We are here to celebrate God sending the Holy Spirit to the Church after the death, resurrection, and ascension of Jesus. For most of us, this celebration has all the force of a Sunday School lesson, and we have incorporated the meaning of this day into our lives with about as much seriousness of purpose as we have incorporated the meaning of our long-ago Sunday School lessons into our lives. If we think about the Holy Spirit at all, we think about him as very impressive breeze, or as so many tea-lights hovering over the heads of the apostles. But our consideration does not often go much further. It does not occur to us that the Holy Spirit is the gunpowder of the church: dangerous and wonderful, with tremendous power to accomplish great things, and full of the force that propels the church and her members up and out of our chambers to accomplish our fiery tasks in the world. Most of us have never imagined that the church required gunpowder, or had any such thing at her disposal. In fact, it is quite the sort of thing that we think we should be protecting against: dousing any supplies of the stuff with water, if we stumble upon it, to make sure no spark ignites it, lest something unpredictable and unexpected should happen. But I do not think it was an accident that God’s introduction of his Holy Spirit to the church is somewhat explosive: with rushing wind to feed the tongues of fire while language erupts into a beautiful cacophony of comprehension and understanding. It was not for nothing that Jesus had warned his disciples that they would receive power when the Holy Spirit came upon them. By this he did not mean they would receive a lesson plan for a Sunday School class, complete with multi-colored construction-paper to be cut out in the shapes of tongues of fire. He meant that his followers would receive the kind of power that could and would propel them up and out of their chambers to accomplish great and fiery work in the world. And the church was not born and raised only on a diet of the teachings of Jesus, or even only on the story of the death, resurrection, and ascension of Jesus. The church was also born and raised on a diet of the power of the Holy Spirit: the church’s gunpowder. The church has suffered because her memory about the power of the Holy Spirit has faded, and with that fading memory, we have mistakenly believed that the Spirit’s power has also faded. It is almost as if we believe there was a dwindling supply of that power 2,000 years ago, and no one has been able to corner the market ever since. It is as though we believe that God has not supplied his church as well as Lammont du Pont supplied the Union Army. This is a sad way of thinking and an ever sadder way of being the church. 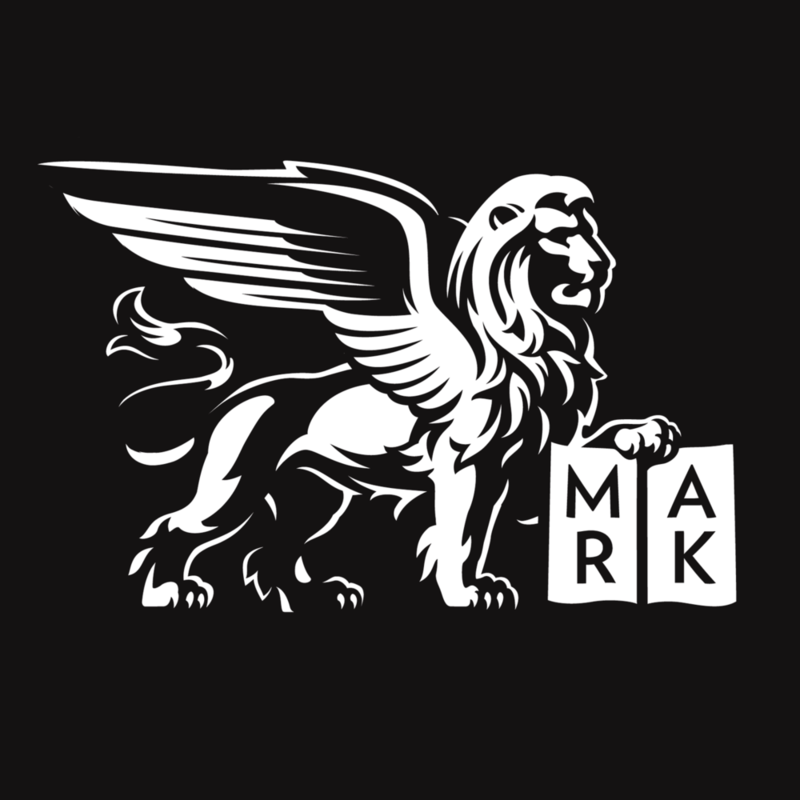 And I contend that Saint Mark’s has always stood for a different way of thinking, has more or less always seen itself as a gunpowder mill of the church: confident of the power given to us by the gift of the Holy Spirit. Here we have always believed that our prayers and God’s grace mix together in a surprising and wonderful way that propels us beyond our chamber, up and out into the world to accomplish the work of the kingdom of God: caring for the poor, striving for peace, teaching forgiveness and mercy, and establishing the law of God’s love in the hearts of his people. This is not a benign mission, or a flaccid Sunday School lesson. It signals an explosive power that challenges the forces of this world who would rather trample the poor, cast peace aside in favor of supposed self-interest, hold onto vindictive grudges, and rule with the cruel tyranny of the marketplace as though it were inherently good. If your experience of the church has not exposed you to this dichotomy, has not shown you how different the power of the church is from the powers of the world, then you are keeping your distance, perhaps wary of the very power that I am talking about. If you think I am exaggerating, then you have not been to the Saturday Soup Bowl and felt the power of God’s love bringing his people together over bowls of soup; or you have not counted the grocery bags that leave this place every month to feed the hundreds of clients of our Food Cupboard; or you have not met the children who go to our after-school program at Saint James the Less; or seen the kids at City Camp; or you have not met someone whose troubled heart was calmed during mass; or whose despair was turned to hope in this community, or whose croaking prayer was turned into a song of joy at High Mass. This is the daily work of the Holy Spirit here at Saint Mark’s. It is powerful, important work. It is gunpowder work: igniting mostly small fireworks of hope, forgiveness, mercy, peace, and love for the well-being of God’s children. It’s gunpowder that wakes our soup bowl volunteers up in the early hours of Saturday mornings to feed the hungry. It’s gunpowder that motivates Kent John and his volunteers to schlep pallets of canned goods in here each week to distribute to the needy. It’s gunpowder that put Saint James the Less into our care, that brought us Dave’s leadership there, and that is blowing its breeze among the kids that are learning there already. It’s gunpowder that animates our worship here day after day, week after week, and that gives our songs of joy such beauty, and that raises our music to high art. It’s gunpowder that brings God’s mercy from his heavenly throne to the altars of this church, whence it is dispensed in a safe capsule of Bread and a sip of Wine. All this and much more is accomplished by the gunpowder of the Holy Spirit bringing the power of the Gospel of Jesus Christ into our lives day in and day out. The Holy Spirit, like gunpowder, gives us power! And I suppose the church at large is a bit conflicted about this power. Because power has been known to make some of us crazy, and prone to do the wrong things; and power has been known to make others of us nervous and afraid of the laws of unintended consequences. There are many in the world who believe that what I am saying is foolishness and delusional. Talk of the Holy Spirit is only so much over-compensation for whatever neuroses or psychoses I am trying to cope with. And there are many in the world who have simply forgotten about the Holy Spirit, or assumed that that Spirit long ago returned to the skies somewhere never to be seen again. But I think there is just a shortage of some crucial ingredient in the church – like the 1861 shortage of saltpeter – maybe it’s a shortage of faith, I don’t know. And I am inspired by the thought that it could be our mission here at Saint Mark’s to corner the market on whatever it is that’s needed, just as Lammont du Pont did all those years ago. As others in the church and in the world express their diminished expectations for the work of the Holy Spirit in the church, we have this truth, that we have not meant to keep secret, but which seems to be hiding in plain sight: that there is an ample supply of gunpowder for God to do whatever he wills in the world. Will he help us to overcome our differences with one another in the church and in the world? Will he help us to care for this planet that he entrusted to our care? Will he grant pardon, forgiveness, and mercy to those who are tortured by their guilt and their recklessness? Will he bring peace to so many troubled nations? Will he feed the hungry and shelter the homeless? Will he bring wars to an end and protect us all from ever becoming cannon-fodder? Will he light up the sky with the brilliant fireworks of his unique glory and make his name, his peace, and his joy to be known in all the world as he establishes his kingdom on the earth? We believe that God will do all these things – not because of our confidence in ourselves as his partners, but because of the strength and power he has given us in the Holy Spirit – our sure supply of gunpowder! A year after Lammont du Pont’s successful mission to secure the supply of saltpeter, the labs at du Pont developed something called “Mammoth Powder,” which was a kind of gunpowder with grains the size of baseballs. This mammoth powder enabled the development of truly heavy artillery, with a power never before seen. Can we really believe that God has put it within our reach to take such destructive power into our own hands, but has placed the awesome power of his Holy Spirit – a power which binds up the wounds inflicted by all the artillery of men – has placed this power beyond our reach? For far too long the church has allowed the world and its dark forces to use the force of gunpowder for death and destruction. It’s now past time to take up the power that God intended for us to have, to let the mammoth power of God’s Holy Spirit ignite in our lives and propel us out of our chambers and into the world, where we will light up the skies with images of the kingdom of God, spelled out in the glittering letters of peace, mercy, care, forgiveness, and love! Come, Holy Spirit, inspire our hearts, and set our lives alight with your power! Posted on June 13, 2011 by Sean Mullen.